Whether your upcoming trip is your first time in Plano, or you’ve been here with your family many times, there are plenty of fun and exciting things to do that will help you and your kids create great memories that will last a lifetime! 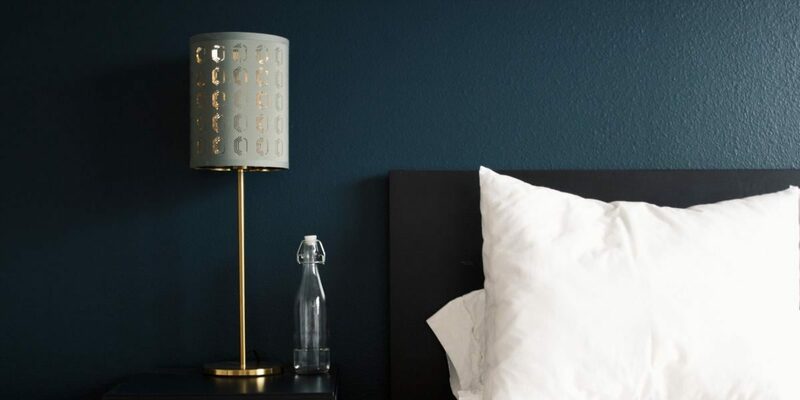 One of the easiest ways to ensure that your trip will be fun and memorable is to book a room or a suite at Studio 6 in Plano. Our newly renovated rooms are clean, comfortable, and built for a long stay. Contact us now to learn more or to reserve a room for your family. Kids stay free and pets are always welcome! If your family loves spending time in the park, or you want to get away from people, there are tons of great options to get outside and enjoy some of the beauty that is Texas. From trails to lakes, the area around Plano really has everything! Texas has a rich history, and there are many places where you can learn more about it. Check out one of the many museums in the area or visit an historical site in order to gain more perspective on one of America’s last frontiers. No state has better food or music than Texas. 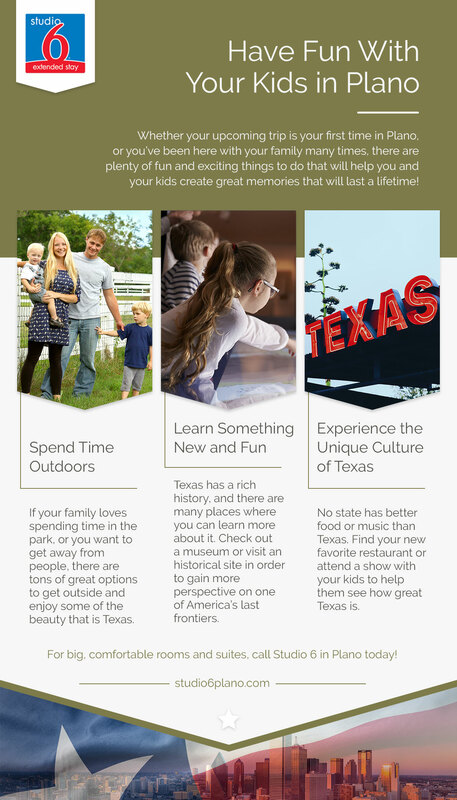 Find your new favorite restaurant or attend a show with your kids to help them see how great Texas is. The summertime is one of the best times to experience our incredible culture as unique festivals and fairs are nearly everywhere. For big, comfortable rooms and suites, call Studio 6 in Plano today! We have free WiFi, a full kitchenette in every room, a fitness center, and many more amenities that will make any stay a lot more fun and more comfortable.